108 days until the London Marathon. This month has seen dark, wet days, as waves of low pressure have rolled over Scotland. This morning, however, dawned brighter. 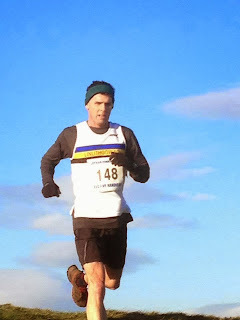 This was perfect weather for a local "Boxing Day" handicap race. Long-story-short: I felt good, and ran strong over the 13.5 k course. I was pleased to put a spurt on in the last 100 m and catch another runner. Another storm is coming tonight.